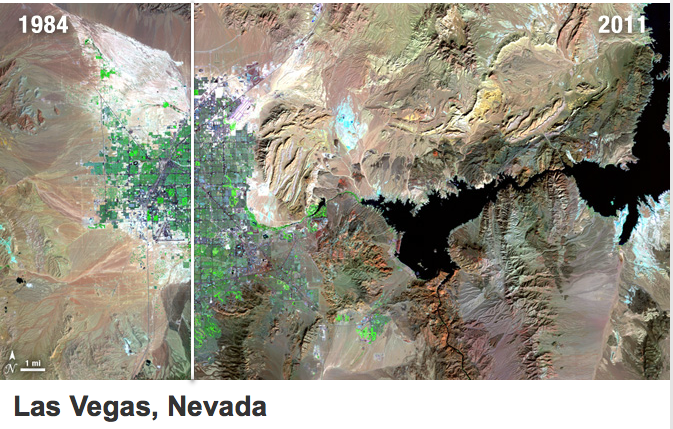 The City Change Pairs from Landsat is one of the most amazing uses of photographic evidence that I have seen. Two contrasting images of metropolitan areas on Earth are compared- a current image and another from the 1980s or earlier. You can control which image you view with a simple sliding bar. I highly recommend checking this out! This entry was posted in Earth/Space science, K-12 General Science. Bookmark the permalink.